Yep that seems to of sorted it! Well it does have several surfaces completely devoid of details and there are no shading meaning that parts of it will be a bit more blobby than it really should be. The side you see on the render is the better one. That said the model is unlikely to need more mesh or UV work so I guess it does not matter when it is exported. Just keep in mind that the texture is far from done. ID is 1832. It uses NAEn_tx.dds and the version I previously added to the repository is the latest one. I am not adding the model to github until the basic texturing is done. You can try this picnum entry. It is probably not completely insane. Maybe. Thanks for that I just started a new game as the UK and had already added the picnum to that unit! Sorry I have been a bit sick so I have not had that much time to commit to this. 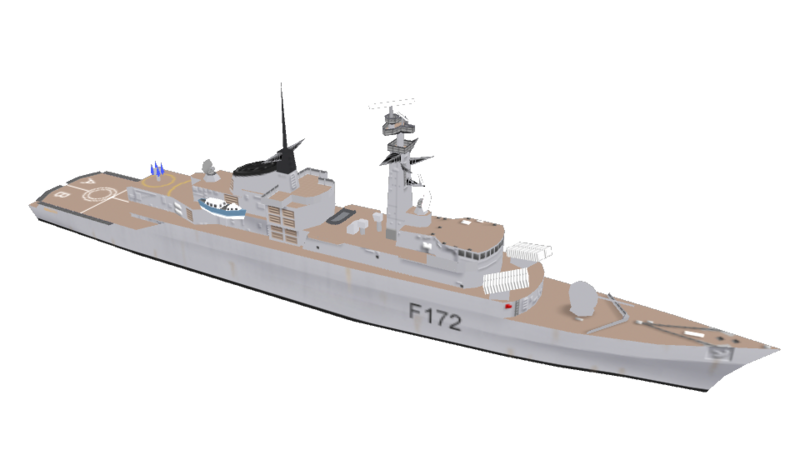 Most of the time I have spent on this have gone towards Uv mapping some warships and a bit of texture work. 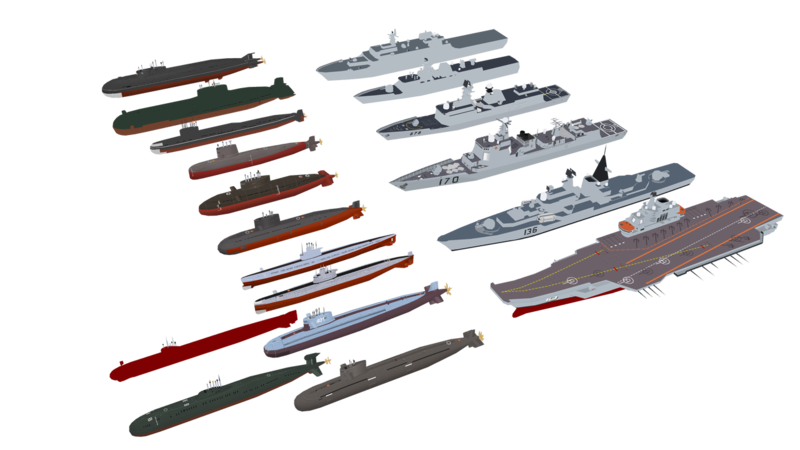 All of the below warships are at least UV mapped. There have not gone that much work into these really as first off submarines are maybe except for missiles some of the easiest models to make and some of the others have been underway for a long time. First off the PRC/Russia selection have a few more Russian Submarines. 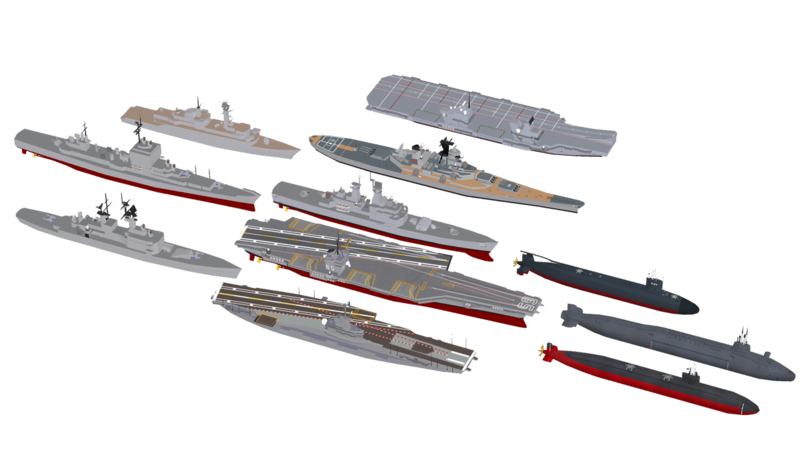 Russian surface combatants to come at some later point. 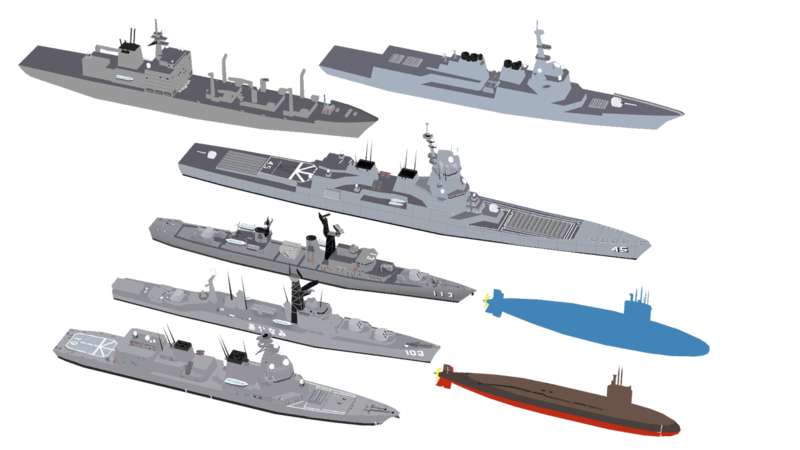 There is also some NATO vessels. 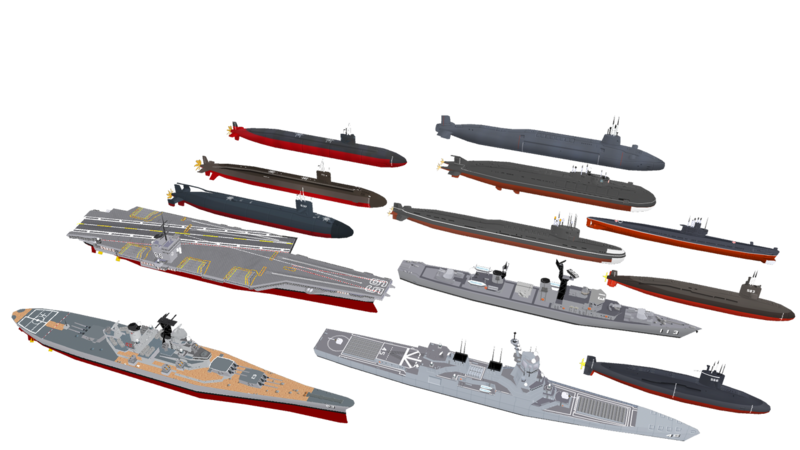 This actually includes the last of the Cold war NATO models I posted like 2 years ago. Finally "other". This includes fictive vessels. It might come as a surprise that most are Japanese though the back one is a KDX-III. The plan is to try and get some of these properly released over the coming weeks. I might also have a few Russian helicopters but that depends on how much attention they end up getting. The replenishment vessel in particular is not fictive. It is a Mashu class fleet replenishment ship. Not sure when that one in particular will be ready but a few of the others are all but ready. Also I am doing a bit of experimenting with texture overrides and regional textures. So far though it appears regional textures trumps everything even secondary meshes with overridden textures. Unfortunately that means I will have to keep say the main rotors of helicopters on the main texture map despite them being large and largely not needing to be regional variations. Basically it is less space for the helicopter itself as each texture map will need a large rotor object. Also secondary meshes with regional textures does not appear to mix well. So after a bit longer than I had hoped I have finally gotten some models ready for release. ID 1699 - Type 033 "Wuhan"/Project 633 "Romeo"
The scale of the 688i should still be the same. These have not been thoroughly tested but they should (hopefully) be okay. Vanguard wasn't expecting that great! They are or where is probably more appropriate as the picnums file has been updated and should now be accurate. Also US version of the F-35A. Generic version will probably just be this one minus roundels and with different markings. 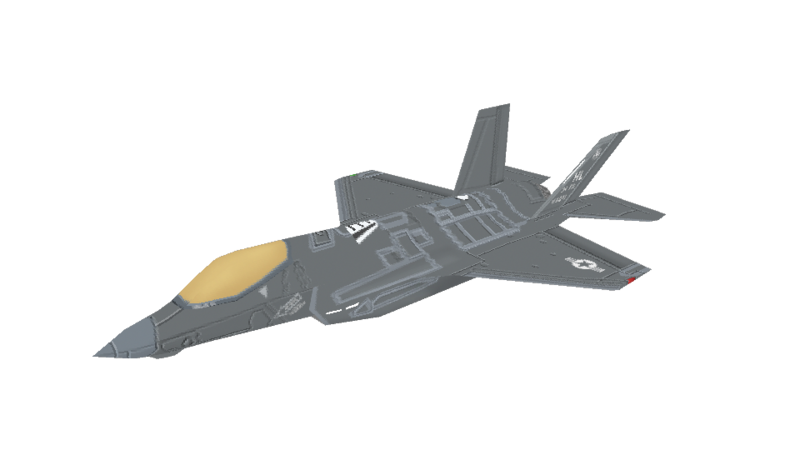 There will likely be a F-35B released along with the textures for the F-35A as it is really just a retextured F-35A (proportions are the same). F-35C requires remodelling so it will take longer. The Pantsir I already have an incomplete version of. Not sure when it will be ready. I have not had much time to actually work on this recently. I also have a PAC-3 Patriot done although it is using an Isuzu Type 73 heavy truck to pull the M901 trailer instead of an Oshkosh M983. I have an incomplete version with a M983 but again no guarantees as to when it will be ready. I do have plans for a 9K37 Buk / SA-11 but it is not as far along as the first two. The S-400 resembles the S-300 I have already made so it is probably a lower priority than the others. Not ruling it out or anything but expect the others before it. I have not had much time to dedicate to this but most of the basic texturing work on the Type 21 Frigate is done. The turret and parts of the rear superstructure being the most obvious. Beyond that though there is also some shading work. The model is rendered with only ambient lighting so it should resemble what it would look like in-game. Nerei, let me ask, when can we see your wonderful models in the game? Some of them have been included in the core game for over 18 months so technically the answer is "right now". Beyond that most of the models I have made are available either through github or dropbox. You have to add those yourself though. If you mean when those models might be added to the core game I cannot say. If, when and how they get into the game is entirely down to BG. Really there are very little content that are not available either through the core game or some download so if you are willing to mod them in yourself you can pretty much have all of them today.